Made in Oak. Available in ash or mahogany. 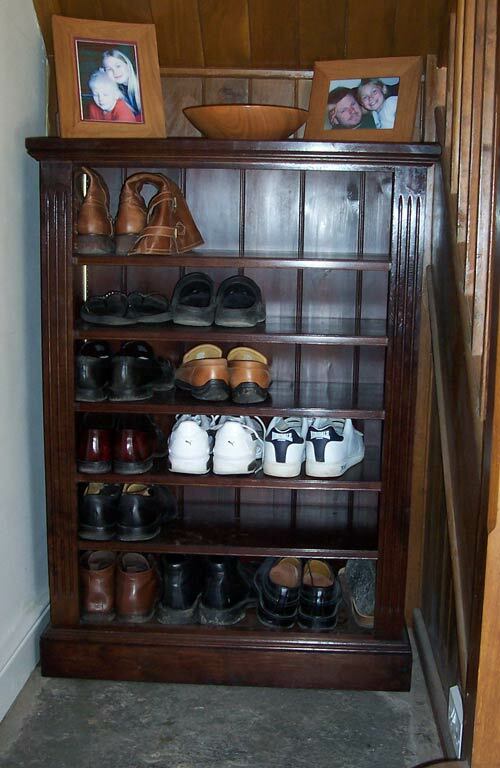 Stephen developed this cabinet so the shoes in his house could be put away tidily. The shoe racks are adjustable, so you can make the most use of the space. The exact design and finish of the shoe rack can be altered to suit your needs:traditional or contemporary.